Kensington Palace is being dragged, fingernails scrabbling hopelessly at the marble floors, into the great fiery hellmouth that is the social media fandom turf wars. Not even a thousand years of court politics could have prepared them for Instagram. Kensington Palace has been forced to seek advice from social media companies over online abuse and physical threats, some aimed at the Duchesses of Cambridge and Sussex. The high level of vitriol and abuse on the royal family’s platforms has meant staff have to spend several hours a week moderating and deleting posts, which include racist and sexist abuse as well as threatening remarks. Officials have now sought help from Instagram to deal with the problem. For someone who is a non-supporter, you sure do follow a lot of Meghan fan pages! 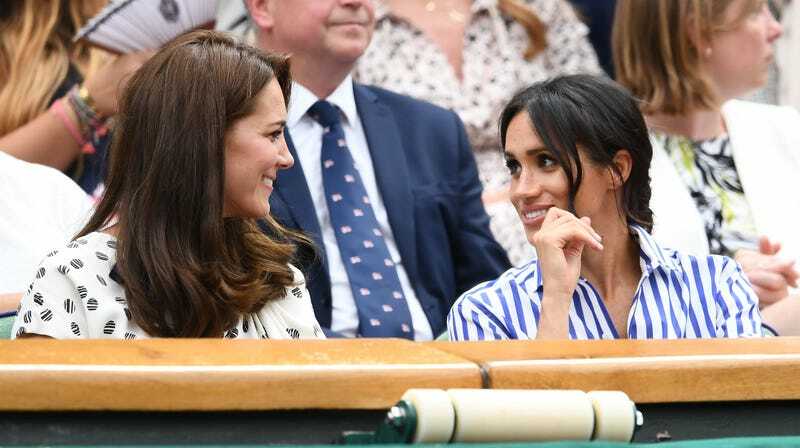 For someone you has no posts and follow Meghan sites, you are definitely a troll who likes to imsult one Duchess to make the other Duchess look good! We get it you love Meghan; however, you definitely do not follow what Meghan preaches, which is women supporting women! Last year, the Mail on Sunday reported that abusive comments on the Kensington Palace site about Meghan had remained up for days and included allegations she bleached her skin to look whiter, while others called her “tacky” and “trashy”. One made reference to “the ghetto”. Being a princess seems like a pretty raw deal, frankly.